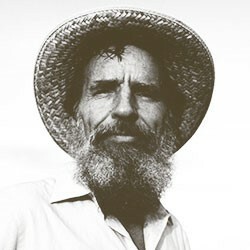 Edward Abbey, (born January 29, 1927, Indiana, Pennsylvania, U.S.—died March 14, 1989, near Tucson[now in Tucson], Arizona), American writer whose works, set primarily in the southwestern United States, reflect an uncompromising environmentalist philosophy. Abbey’s novel The Monkey Wrench Gang (1975) recounts the exploits of a band of guerrilla environmentalists; both it and Desert Solitaire became handbooks of the environmental movement. The strain of cynicism that runs through much of Abbey’s writing is leavened by a bracing prose style and mischievous wit. His advice was unorthodox: “This is what you shall do: Love the earth and sun and animals. Stand up for the stupid and crazy. Take your hat off to no man.” And his opinions pithy: “Anarchism is not a romantic fable but the hardheaded realization, based on five thousand years of experience, that we cannot entrust the management of our lives to kings, priests, politicians, generals, and county commissioners.” His appreciation for the natural and distrust of machines and the modern state resonated through the 1960s, ’70s, and beyond. After his death, he was buried as he had requested: in a sleeping bag, without embalming fluid or casket. His body was surreptitiously interred in an unmarked desert grave somewhere in Arizona. Among his many other works are The Brave Cowboy (1958), Slickrock (1971), Abbey’s Road (1979), and The Fool’s Progress (1988). Hayduke Lives!, a sequel to The Monkey Wrench Gang, was published posthumously in 1990. 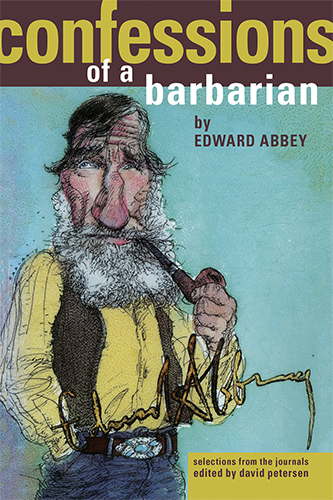 Confessions of a Barbarian: Selections from the Journals of Edward Abbey, 1951–1989, edited by David Petersen, was published in 1994.